The Teen CERT program has three main goals. 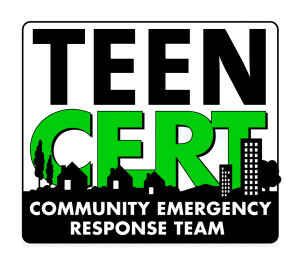 The Teen CERT program has three main goals. First, it seeks to provide students with a knowledge of the emotional, social, and economic impacts of natural and man-made disasters. Second, it builds decision-making and problem solving skills to help students make informed decisions about readiness, response & recovery, and mitigation efforts to reduce loss of life and property. Third, it provides students with hands-on training using reality-driven drills and exercises. The Medical Reserve Corps (MRC) Program strengthens communities by helping medical, public health and other volunteers offer their expertise throughout the year as well as during local emergencies and other times of community need. MRC volunteers work in coordination with existing local emergency response programs and also supplement existing community public health initiatives, such as outreach and prevention, immunization programs, blood drives, case management, care planning, and other efforts. Fire Corps supports fire departments by leveraging community volunteer efforts to handle non-emergency activities. Actively involving citizens in a non-emergency role enables highly trained fire service personnel to focus more fully on acute emergency tasks. What’s more, citizen advocates help expand educational outreach to all residents about ways in which they can help protect themselves, their families, and their communities from fire hazards.Fire Corps volunteer activities may include assisting fire department personnel with administrative duties, performing education and outreach efforts to encourage fire safety and prevention, supporting CERT (Community Emergency Response Team) training in emergency preparedness and basic response techniques, and other non-suppression activities unique to rural and urban areas. Volunteers in Police Service (VIPS) works to enhance the capacity of state and local law enforcement to utilize volunteers. 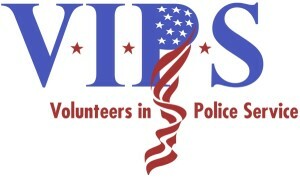 VIPS serves as a gateway to resources and information for and about law enforcement volunteer programs. Funded by DOJ, VIPS is managed and implemented by the International Association of Chiefs of Police. Neighborhood Emergency Training (NET) is a two hour disaster preparedness presentation that provides essential information to community members on what to do when a disaster strikes; How to prepare and sustain before, during and after a natural disaster, terrorist attack, flu pandemic or other emergency that could impact lives and communities. This Course is certified by the United States Department of Homeland Security, Preparedness Directorate’s Office of Grants and Training. 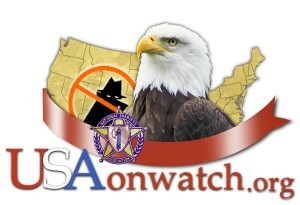 Neighborhood Watch is a crime prevention program that teaches citizens techniques to reduce the risk of being a victim at home or in public by training citizens on the importance of recognizing suspicious activities and how to report them. Residents learn how to make their homes more secure and properly identify their property. Neighborhood Watch allows neighbors to get to know each other and their routines so that any out of place activity can be reported and investigated.Implementation of a Neighborhood Watch on your block could result in substantial reductions of crimes. Neighborhood Watch works because people want to assume a more active role in making their communities safe. Residents within a neighborhood know who belongs there and who doesn’t and what activity is suspicious. Citizens will work with, instead of relying on, law enforcement to combat crime in their community.